Within the next few days, the registration for SWS Finals 2019 will be opened to qualified drivers and teams. A great time to share some more details about the most expected event of the year for the rental kart community worldwide. This year, more than 40 nations will have at least one competitor on the event, confirming the continuous international development of the series and the will of SODIKART to propose a world class competition to drivers from the 5 continents through its network of SWS partner tracks. About 80 different tracks among the most active and prestigious rental kart track worldwide will be proudly represented on this event with a driver or team. SODIKART event team has started to work and prepare the event together with the track of Lignano Circuit, along the Italian east coast. The track will without any doubt provide unforgettable sensations to all drivers and the overall infrastructure is just perfect to host such international finals. Beside the spectacular venue, SODIKART teams are working hard to offer the drivers a whole new experience on this event ; where drivers will be racing on a quite spectacular track layout and, for the SPRINT category, on a whole new product : it simply is a world premiere! Stay tuned and get ready to register ! Created in 2009 by the SODIKART group, world leader in the karting industry, the concept of Sodi W Series has always been to allow more and more people to have access to karting competition, without the constraints of the racing world. Through a championship which is co-organized by over 300 official SODI partner tracks on the planet, each local driver gets a change to race, score points and move up the SWS rankings. These rankings are used as a base to select the best drivers and teams of each country to the SWS International Finals, ensuring the highest level of rental driving. 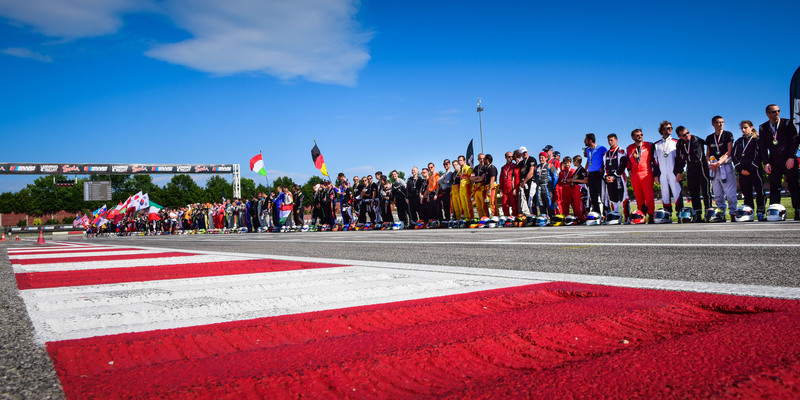 Each year since 2009, about 300 drivers from the 5 continents defend their track and country on this very single event, making it the unmissable karting event and ultimate experience for any rental kart driver, where the most pretigious title of rental kart is rewarding the winner !